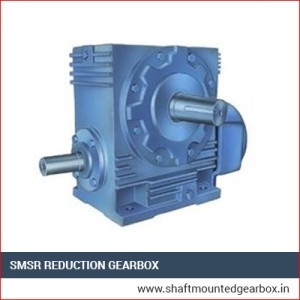 We offer numerous types of SMSR Gearbox that of high quality and offer high performance in a very reliable and efficient manner. This product range incorporates Holdback SMSR Gear Box, Shaft Mounted Speed Reducer, Motor Mounted SMSR Gear Boxes, Anti Reverse SMSR Gearbox, Non Reversible SMSR Gearbox and Backstop SMSR Gearbox etc. These products have housing composed of high grade C.I.This gearbox is made up of high grade materials & components as well as latest technology in compliance to the industrial norms. These are very sturdy, proficient, compact and reliable. They are preferred for their corrosion resistance, user-friendliness, easy installation as well as least maintenance. We offer them at market leading price rates.